I simply love these quotations, especially when you meet someone, or have to deal with someone, who is obviously either insecure with themselves, feel inferior about themselves, think they are above you in ANY sense, have something to prove within themselves(which is abnormal in itself, especially when you need to tear someone else down to make your self feel superior) or simply think they are the "appointed one", to oversee all others' transgressions. Why not understand that every single human makes mistakes and it is not up to anyone, even Jesus forgives and will never hold you accountable,to eternally judge you. I absolutely believe that if our Saviour can forgive(and he is the one making the final judgement)every single one of us can do the same. I would never EVER hold judgement, simply because I am no better than anyone on this earth. And when someone does hold judgement, and tries to ruin someones character or life, simply for the glory they think they can obtain or the rank it seems to elevate them too, shame on them. So enjoy these quotes from thinkers that are much deeper than I am, but none-the-less convey what every human should adhere to on a moral ground. And because I strongly think those who judge others are envious to a fault, I have added these as well, along with quotes that....well, you'll see! I know someone who is deliberately trying to hurt someone and his/her family(which consists of minor children) simply because he/she is obsessed and jealous of the life the family has. Not one other reason. It just doesn't bother this person whose life he hurts, as long as it propels him/her and ruins this family. Simply because this family made some innocent mistakes. And when I say innocent, I truly mean it. No intent whatsoever!! I feel so bad for this family and the obsession borders on stalking. You know when children are involved, that's when the obsession ought to stop!!! Pure and simple. and you know what the kicker is? This family who is being tormented by this individual has never met this person, never heard of this person, has never had any association with this individual whatsoever. That's the weird and disturbing part. 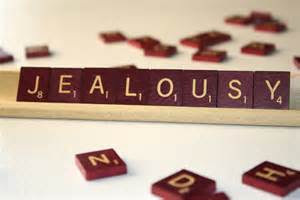 "Peace of mind makes the body healthy, but jealousy is like a cancer." And if you feel yourself overcome with revenge because of the cowardly threats or slanderous ramblings of another, remember these quotes. I love these as well. You know, I truly think the best revenge is to not let the other get into your psyche. I don think, however, that the more you show complacency and don't let the other bother you, that person will surely try even harder to hurt you. And if that is the case, THEY truly have the problem, not you!